As a world leader in automotive motor protection, Sensata Technologies has developed the smallest bimetal based protection available at the market today, the 5AP. 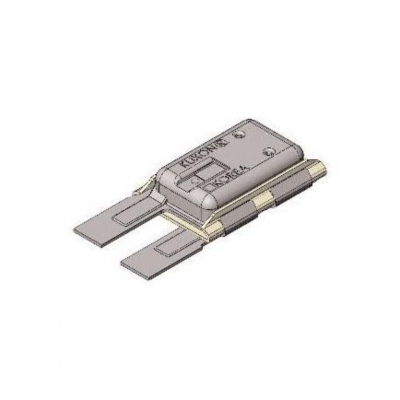 The 5AP is developed to operate in wide temperature and current ranges, while providing consistent performance characteristics and excellent reliability. CAD-based design techniques combined with 6-Sigma supported manufacturing lines and the best quality control systems give this product maximum safety and reliability. The 5AP operates as a sensitive power cut-out which is widely used in Window-Lifts, Adjuster-Motors, Door- Locks and various other applications. One protector series covers a broad range of applications, thus providing the flexibility to customize a particular rating based on the specific requirements of universal applications. But let’s find out what really makes the 5AP perform its job as it does: the Sensata Klixon® control. The Klixon® disc is made of a combination of different metals with a predetermined calibration point. When heated, one of the metals expands more than the other, causing the disc to snap. As a world leader in bimetal technology and bimetal-based devices, Sensata Technologies has set its goals of constant improvement and maximum reliability during years of operation and thousands of cycles. The 5AP is manufactured on fully automatic equipment, custom designed to meet the various requirements of today’s automotive industry. As a world leader in automotive motor protection, Sensata Technologies has developed the smallest bimetal based protection available at the market today, the 5AP. The 5AP is developed to operate in wide temperature and current ranges, while providing consistent performance characteristics and excellent reliability. CAD-based design techniques combined with 6-Sigma supported manufacturing lines and the best quality control systems give this product maximum safety and reliability. The 5AP operates as a sensitive power cut-out which is widely used in Window-Lifts, Adjuster-Motors, Door-Locks and various other applications. One protector series covers a broad range of applications, thus providing the flexibility to customize a particular rating based on the specific requirements of universal applications. Just provide us with your specifications concerning specific current and temperaturerise conditions and we will select a matching 5AP motor protector and provide you with samples. But we do more than that. A skilled staff is available to perform application testing and protector selection in a well equipped laboratory with sophisticated, state-of-the-art equipment, located at each region. In close cooperation with the customer we develop the optimum solution, providing the lowest cost of ownership and thus increasing your competitive advantage. If motor testing and assembly are required on a larger scale, pilot series for your verification will be supplied within a very short cycle time. With design cycles becoming shorter and shorter, you can expect our prompt reply. If you wish to select your own ratings we have a software tool available to assist you in making the right selection. 5AP production facility is located in Asia.